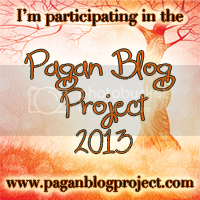 ← Pagan Blog Project – I am Still Alive, I Swear! I am a research junkie. I could be better about it. I could go more in-depth; read more classical sources; keep better notes and records. But I am pretty sold on my current method of Google. My process is very loose: I find a dangling thread, and follow it as far back as I can. Eventually, I hit a wall and cannot find any more leads. Then I wait. Days, weeks, or months later, a new dangling thread emerges, and suddenly I am back on Google wondering where all the new material appeared from. I find ties and links I searched desperately for before, but could not find any. New doors open, and new information practically falls into my lap. I joke around about the God of Google having a guiding hand in my researching. But truthfully, I do believe someone or something has a hand at this dissemination of information. Making sure I stay on target, and focused on what I need, when I need it. I stopped researching several months ago. This was rough, considering I used to spend a handful of hours daily reading about mythology, but I just could not figure out where to go next. Then a friend of mine posted something interesting that gave me a new lead, and suddenly I was knee-deep in reading about Anat, Atargatis, and Derceto, for a good six hours. Why do I research things? I guess I am looking for context. I could leave things as UPG, but it feels incomplete. I like the merging of UPG and historical precedence. I love how, when they mingle, beautiful paintings can emerge. And I like the idea of being able to help bring old snippets from a mostly-lost culture, back to life for people today. I love that moment of things clicking into place, when UPG no longer is unverified, but seen for having happened before to others. There is a comfort in that. I know people who rely almost solely on research and historical documentation. I know people who rely entirely on their UPG and could not care less what a dusty old book says. But the former is the head; the latter is the heart; and only when we marry the two, can real magic happen. This entry was posted in Uncategorized and tagged Google, PBP2013, Research. Bookmark the permalink.